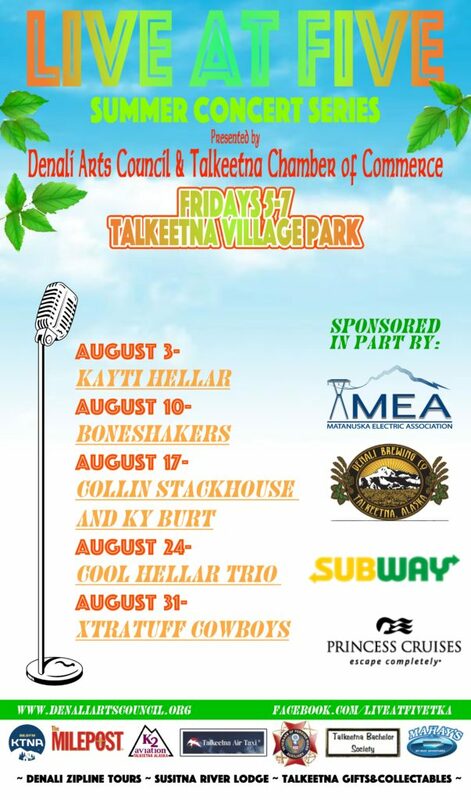 The Talkeetna Chamber of Commerce and the Denali Arts Council are proud to bring you another season of Live @ Five Summer Concert Series. 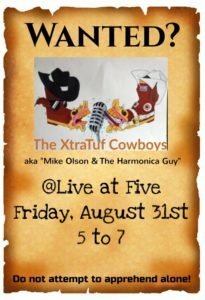 In 2018 Live @ Five ran from May 25th through August 31st, bringing you LIVE music every Friday evening, from 5-7 pm in the Talkeetna Village Park. 2019 dates will be posted in the spring. This is a family friendly event. Bring your picnic baskets, your lawn chairs or your blanket, and enjoy musicians from all over the state. 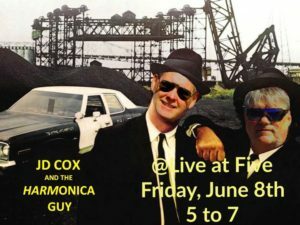 Ukulele Russ returns for his 6th opening season slot at ‘Live at 5’ and this one is going to be YUGE! 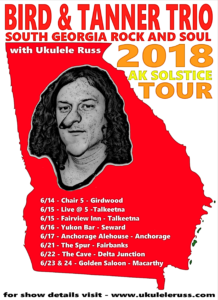 Come witness the hilariously dirty underbelly of the ukulele as Russ operates his one man frontier band and wows the crowd with how much noise one guy, without a guitar, can put out. 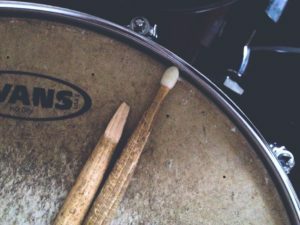 Alaska’s favorite band! 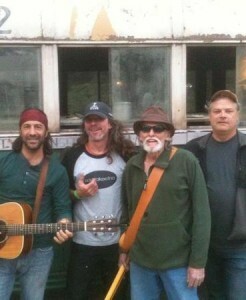 Woody, Larry, Jimmy, and Andy combine original music, freshlyrics, amazing musicianship and magical harmonies. Every Cooks show is worthy of a road trip to go and listen and dance! Ever see a 2 man jukebox? We play it all. Country to cage the elephant, with a little motown and top pop thrown in for good measure. 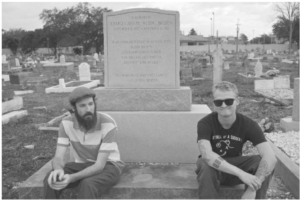 Bird and Tanner are two good old boys with guitars from about as far south in Georgia as you can get. 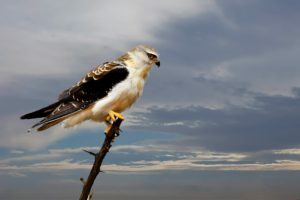 Kick back and jam out to the southern rock and soulful sounds of Bird and Tanner as that transport you to the modern day musical land of ‘Fried Green Tomatoes’ with their special friend and Alaskan, Ukulele Russ. Steve Durr has been entertaining Talkeetna since 1970. 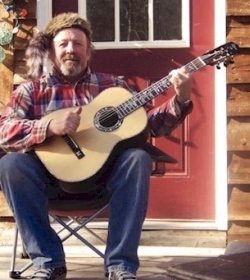 Best known for his Alaskan ballads, he also enjoys painting and serenading boats as they float down the river. hauntingly familiar, and yet so enchantingly curious. 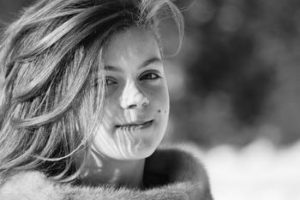 With a voice of untouchable purity and lyricism of remarkable wit and poignancy, Emily cradles matters of the human heart with an almost impossible sweetness. 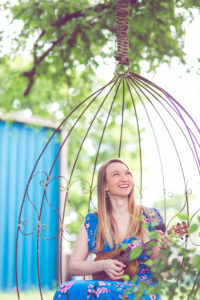 Her latest release “Simple Things” was made possible by a generous grant from the Rasmuson Foundation, and is available for streaming and download everywhere. 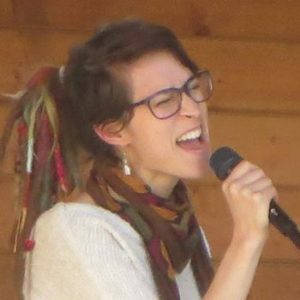 Emily will be joined by her full band featuring prominent Alaskan musicians Jeremiah Bakken (of Sweating Honey), Rachel DeTemple (of Fireweed Fiddle), Travis Burrows and Patrick Mailloux (of Thought Trade). This is a family friendly, all-ages performance. Dancing and singing along are highly encouraged! For more info visit emilyandersonak.com. 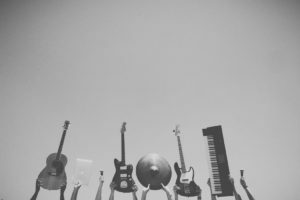 Milo’s style of music ranges from jazz, blues, rock, pop, funk to even folk. He performs his own originals as well as adds his unique flavor to 60’s, 70’s, 80’s, 90’s and present cover songs. 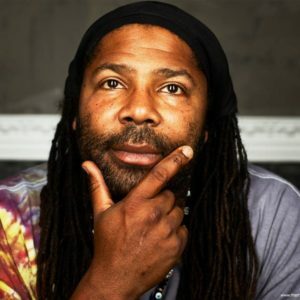 He demonstrates versatility unlike any other bassist by using a drum pad, effects pedal and a looping machine which provide his unique rhythm, bass line, keys and lead guitar turning him into an unstoppable one-man show! It’s very rare to hear Milo play the same song exactly the same way which makes each performance fresh and new! Local boys jamming tunes that will get you soaring! Dumpster Joe performs old-time jugband music on res-o-phonic guitar while singing with a voice that hearkens back to hard-time days gone by. The immensly talented powerhouse singer Kayti Hellar is a local talent and favorite, her soulfull feel-good music is written from the heart. 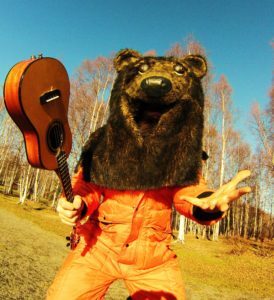 As familar as pie, a Talkeetna homegrown band that rocks the blues, funk, psychedelic jams, and classic rock. 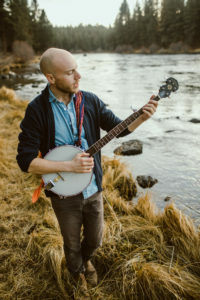 Collin Stackhouse is a Fairbanks-raised, Portland-based fiddle and banjo player. 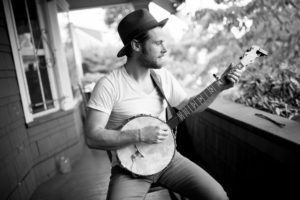 He combines modern vocal edge with old time instrumentation, singing folk/pop/punk confessional melodies, with Americana roots. Collin’s debut album. Again Again was released during the Alaska Folk Fest this last April. Together, Ky and Collin harmonize on originals from their albums, re-imagine traditionalfiddle tunes and ballads, and do their gosh-darndest to delight and astound. Bluesy folksy originals played by lovely local favorites. Just two good ole Alaska boys playing your favorite country hits!